My previous four posts have all been about vintage lighting. And I sell vintage lighting for a living. So, one would think my own house would be full of vintage lighting treasures, right? Well, like the proverbial shoemaker with no…I am shoeless. The problem is that I cannot justify hanging up fabulous vintage fixtures in my own home when I can sell them. If I were to hang some vintage knock-out over, say, the dining room table, every time I looked at it I would think: That is six mortgage payments hanging there. Use fixtures of little value. 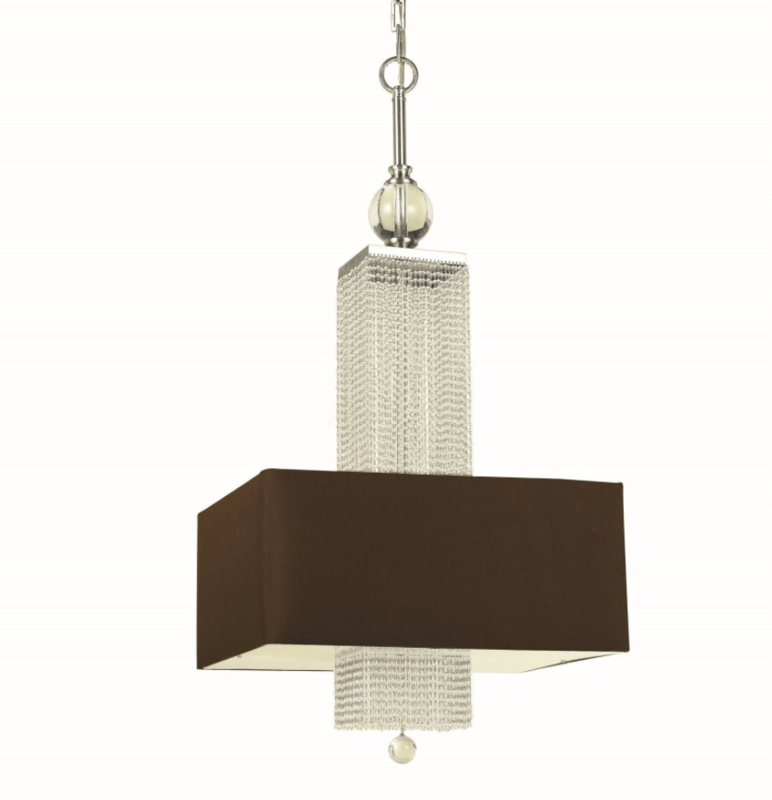 In my current home, in the living room, dining room, and bedroom, are matching fixtures from the 1970s. They don’t have much value, and I pick them up cheaply. They were intended for a bathroom, and each fixture has a large, heavy, tear-shaped glass shade, attached to a Hollywood-Regency fitter. You know, 1970s glam. They are actually really well made, and perhaps in another decade will be worth some money, but for now I can justify using them without guilt. Of course, HOW they are displayed makes all the difference, and I must say I have done a rather brilliant job with their presentation. Newbies. Yes, newbies. Occasionally I buy a newly made fixture. For the carriage house, I have in storage a high-quality mid-century modern dining set I plan to use. I know, not something one would normally see in an 1894 carriage house (converted to a house in 1921) but I think it will look quite well. I could hang over the table some stunning mid-century chandelier, but, again, not when I can get good money for it. And not in a house I plan to rent. On eBay I was watching a Candice Olson-designed chandelier. It was listed over and over, and the price kept dropping. I think it is quite stylish, and thought it would look quite well in the carriage house finding room. When it was relisted with a $139 Buy It Now, I…bought. I know. I know. You will laugh at the absurdity of such a fixture, considering my obsession with vintage lighting. But, I love it, and cannot wait to hang up Candice. NOTE: I plan on installing some really gorgeous period-correct lighting in the Cross House. The house deserves it. Well… I’m not laughing! I LOVE that fixture! But do splurge a bit on yourself, Ross, somewhere in the Cross House. The Victorian I owned before Stagfield, btw, had a three-armed wall sconce in the upstairs hall that was once both electric and gas. Very curley armature, pretty shades. No, I didn’t take a picture 🙁 !. Alas, I was recently invited to a dinner party at the house by the present owners… they having bought the house from the gentleman we sold to, and that fixture was long gone, as was the foyer (converted gas) fixture I had purchased in an Atlanta flea market. I suppose the fella either sold them or took the two fixtures with him. The period correct (1904) dining room chandelier we purchased from our favorite Richmond watering hole before it closed, was still there, though the guys had moved it to the rather elegant downstairs bath/powder room. Was glad to see that old friend! As an aside, the diner invite came about in a round about way. We were at a mutual friend’s dinner party a couple of years ago when Dan and Chris were describing their house; specifically ghostly goings on… It all was so familiar. Turns out that they had bought our old place! Well this past October our mutual friend asked me if I would do flowers for Dan and Chris’s wedding (which of course I did with relish) and the night before the ceremony, had us over for a “non-rehearsal” dinner. So, show us the 1970’s glam light fixtures and how to display them, so intrigued!